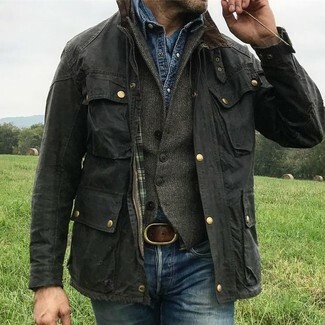 If you're hunting for a casual yet seriously stylish outfit, wear a Levi's jackson pieced denim shirt and black chinos. Both pieces are totally comfortable and will look great together. 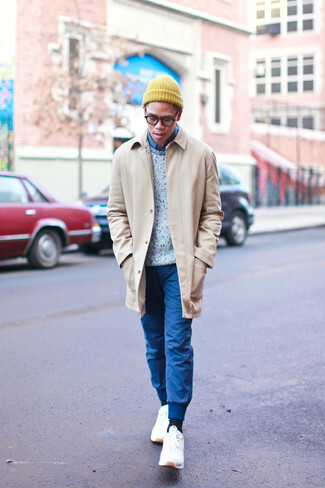 Bump up the cool of your getup by wearing tan leather double monks. If you're in search of a casual yet stylish ensemble, pair a Levi's jackson pieced denim shirt with black chinos. Both garments are totally comfortable and will look great together. To bring out the fun side of you, finish off your getup with black athletic shoes. If you're on the lookout for a casual yet dapper ensemble, wear a Levi's jackson pieced denim shirt with tobacco chinos. Both items are totally comfortable and will look great together. A pair of brown leather casual boots adds some real flair to this outfit. 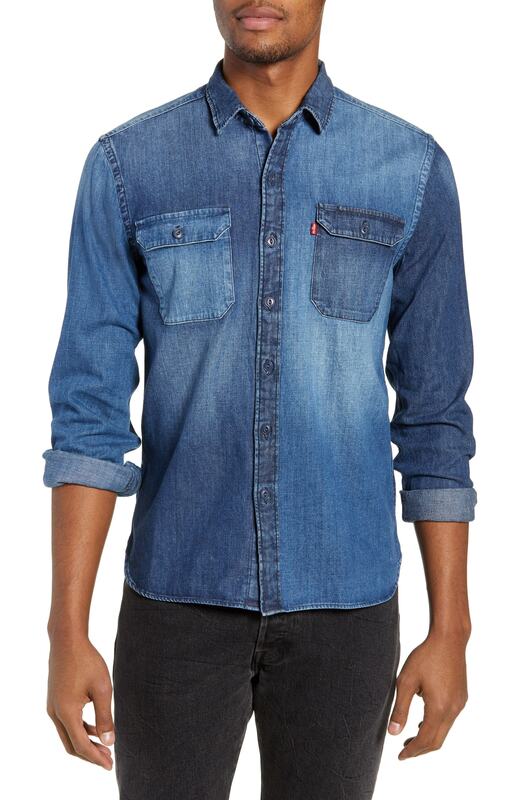 If you're after a casual yet dapper outfit, marry a Levi's jackson pieced denim shirt with blue jeans. Both items are totally comfortable and will look great together. To bring out the fun side of you, round off your getup with tan leather work boots. 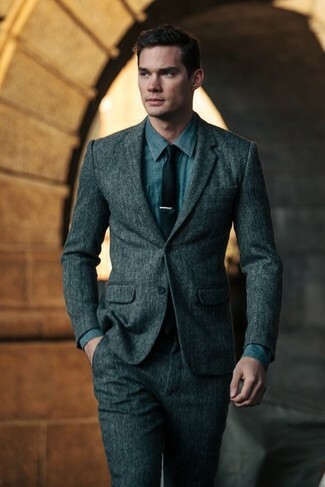 For a nothing less than incredibly stylish look, reach for a Levi's blue denim shirt and a charcoal wool suit. 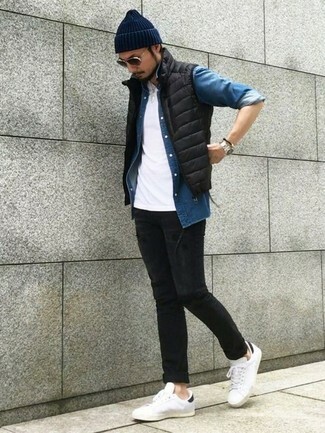 If you're looking for a casual yet dapper look, wear a Levi's jackson pieced denim shirt and blue jeans. Both garments are totally comfortable and will look great paired together. We're all getuping for comfort when it comes to dressing up, and this combination of a Levi's jackson pieced denim shirt and blue sweatpants is a great illustration of that. To break out of the mold a little, rock a pair of white athletic shoes. 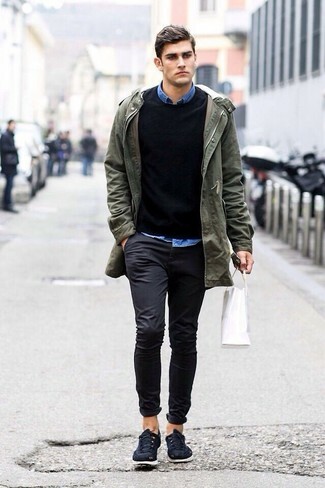 If you're on the hunt for a casual yet stylish look, wear a Levi's jackson pieced denim shirt and khaki chinos. Both items are totally comfortable and will look great paired together. If you're a fan of relaxed dressing when it comes to fashion, you'll love this simple combo of a Levi's jackson pieced denim shirt and black skinny jeans. 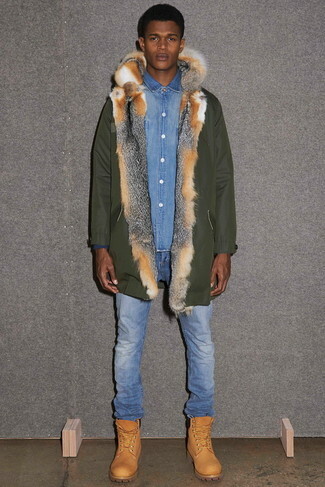 When it comes to footwear, this outfit is round off wonderfully with white leather low top sneakers.